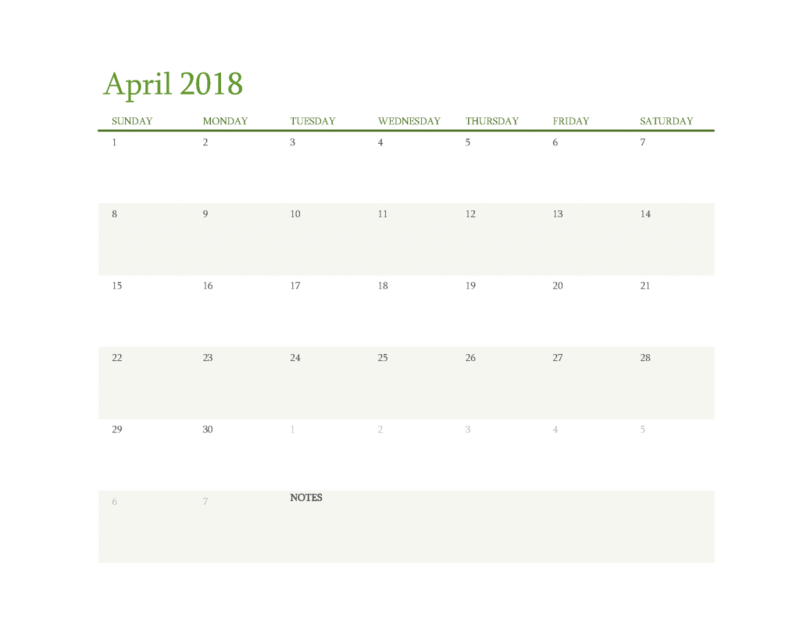 Download Free Calendar 2018 April Printable monthly calendar with notes in PDF and Image file (1 month in 1 page), start on sunday with fresh green design that you can easily edit and print using PDF and image (png) format. This 2018 monthly calendar template has a Sunday to Saturday format and runs from January to December 2018. With this monthly calendar, you need simply to download and print. It couldn’t be easier. Click the link Free Calendar 2018 May Printable to download the next month in may or the link Free Calendar 2018 March Printable to download the previous month in march with this template. Also you can find all 12 months calendar 2018 in this template through the link: Free Printable Calendar 2018 PDF .